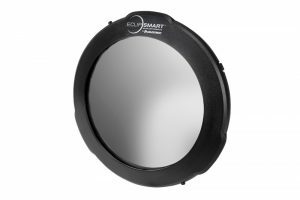 Celestron has added white light solar filters to its EclipSmart line of products in advance of the 2017 North American Total Solar Eclipse. The EclipSmart lineup includes dedicated solar glasses, binoculars, white light telescopes and now, white light solar filters. 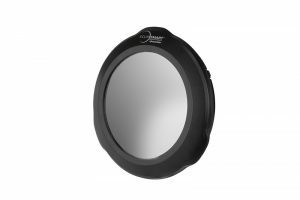 All of Celestron’s EclipSmart solar products feature Solar Safe filter technology providing protection from harmful solar radiation, including both IR and UV light, and filters 99.999% of intense visible light. Celestron Solar Safe filter technology is guaranteed safe for direct solar observation and has been independently tested by SAI Global Assurance Services. Specifically, Celestron’s Solar Safe products conform to and meet the transmission requirements of ISO 12312-2, Filters for Direct Observation of the Sun, EN 1836:2005 + A1:2007 (E) for an E15 Filter for the Direct Observation of the Sun and, AS/NZS 1338.1:2012, Filters for Eye Protectors. Owners of Celestron telescope’s will be happy to note that the filters are affordably priced from $16.95 to $49.95. 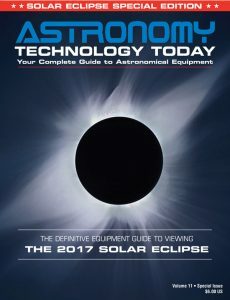 What a very inexpensive way to enjoy the 2017 American Solar Eclipse with your current equipment! Designed to turn Celestron’s Powerseeker 60AZ or 60EQ refractor telescopes into white-light solar telescopes. 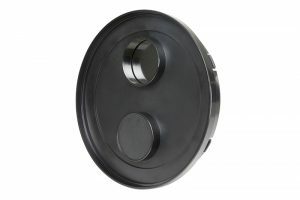 The filters are designed to form to the telescope’s lens cap for a snug, safe fit via 3 safety screws. The included safety cap protects the outer surface of the white light filter when not in use. The filter is priced at $16.95US. Designed to turn Celestron’s PowerSeeker 70 (AZ & EQ) and Travel Scope 70 telescopes into white-light solar telescopes. 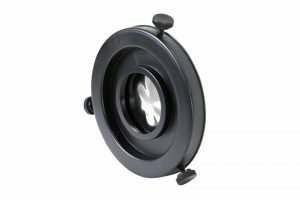 The filters are designed to form to the telescope’s lens cap for a snug, safe fit via 3 safety screws. The included safety cap protects the outer surface of the white light filter when not in use. The filter is priced at $17.95US. Designed to turn Celestron’s PowerSeeker 127, Astro Fi 130, NexStar SLT 130, Omni XLT 130AZ, and SkyProdigy 130 Newtonian telescopes into white-light solar telescopes (Not for use on the AstroMaster 130 telescopes). Two Velcro straps and four self-adhesive Velcro pads for assure that the solar filter cannot be accidentally knocked off. The filter is priced at $19.95US. 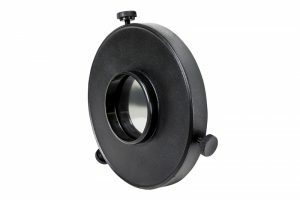 Designed to turn Celestron’s 6-inch Schmidt-Cassegrain telescopes (6″ SCT) into white-light solar telescopes. The filters work with Celestron’s SkyProdigy 6″ Computerized Telescope, Advanced VX 6″ Schmidt-Cassegrain Telescope, NexStar 6SE Computerized Telescope and NexStar Evolution 6. The filter is priced at $39.95US. Designed to turn Celestron’s 8-inch Schmidt-Cassegrain telescopes (8″ SCT) and Celestron 8″ EdgeHD telescopes into white-light solar telescopes. Made to form to the telescope’s lens cap for a snug fit, each filter includes two safety Velcro straps and four self-adhesive Velcro pads for safely securing your solar filter in place. The filter is priced at $49.95US. For more information visit www.celestron.com.